Adam Hourigan Chief Photographer Worked his only job at The Daily Examiner since 1995. Keen photographer, and trained classical pianist in very spare time. PASTOR Greg Holder challenged all that stood in the Christ Church Cathedral last night, his face full of emotion. "Look to your left right now... and look to your right, look at that person sitting next to you, look them in the eye." "They are your fellow citizens... they are your family, they are your friends, they are part of the wonderful community that makes up who we are. "But that person is in just as much need of healing as you are." 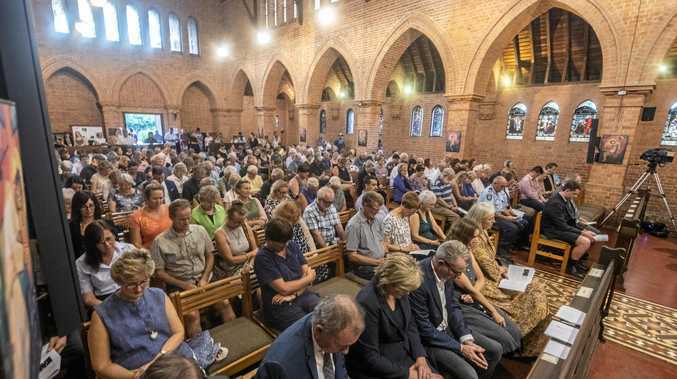 Hundreds packed the Cathedral, watched by the eyes of the world, to attend a community prayer vigil to show solidarity with the people of Christchurch and all touched by the violent terrorist attack on Friday. From civic leaders, business owners, school children, the community banded together in what the dean Rev Gregorhy Jenks told the congregation was "our Cathedral". "We gather to express our compassion and solidarity with the citizens of Christchurch, especially for the Muslim community which was suffered so directly and badly," he said. "We pray for the Tarrant family, and hope by being here tonight we show our compassion and solidarity. We want them to feel loved, cared for and respected by their neighbours." Giving the reflection, Pastor Greg Holder spoke to the crowd with vigour. "I love this city, and I love its people." he said. "Grafton, like Christchurch is a beautiful place to live. "A place where the bonds of community are so strong. A place where people care for another another, people love one another, people stand beside one another, to meet the needs of the one, to meet the needs of many." Pastor Holder said that by being at the service, the people of Grafton had taken the first step towards healing something that was badly broken. "But when we don't let the past define what our future can be...we will begin to move away from the darkest of days," he said. "And as you move forward with your life, and this community recovers, we move from strength to strength in the bonds of love." 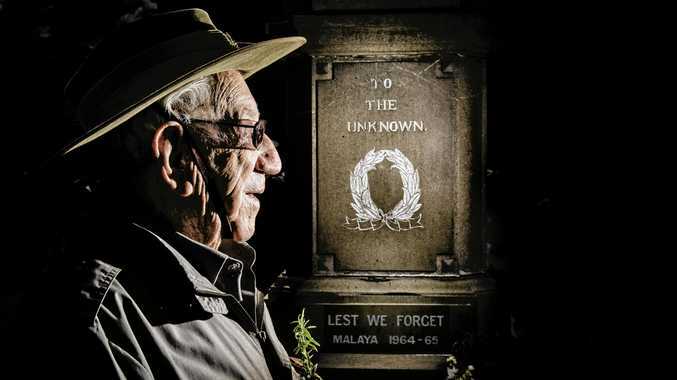 The audience heard from the towns three civic leaders, mayor Jim Simmons, state member Chris Gulaptis and federal member Kevin Hogan, who maintained a theme of showing kindness and compassion to their fellow citizens. Then together the congregation rose to light candles, many leaving tributes at the altar, and some who came to seek some peace and clarity. With the candles flickering bright, Rev Jenks invited the crowd to make the Cathedral their place at any time, as a place of prayer, as a play of stillness - "or even the WiFi" - and talked about Grafton becoming a city of compassion. With that, the cameras retreated, and the crowd slowly walked from the church, having already taken the first step in healing a town looking to stand proud again, not letting a past define what the future could be.